As the Government recently launched their new 25 Year Environment Plan and focus begins on ‘A Green Future’ I can’t help but wonder, how can we ensure a future for the last of the hedgehogs? This is where I pull on my deerstalker hat, get out my magnifying glass and begin my investigation in hedgehog decline, Sherlock Holmes style. Hedgehogs are special creatures: I love their gentle nature and amusing behaviour, particularly when they curl into a ball to protect themselves. There is still so much to learn about these night time visitors and hearing how people are seeing less and less piqued my natural curiosity and my campaigning passion. That’s why I joined the Hedgehog Street team, so I could use by master’s degree in conservation biology and several years of working in the conservation and animal welfare sector to investigate hedgehog decline and finally solve the mystery of how to help them. Hedgehogs are notoriously difficult to study and no one knows exactly how many there are. But what we do know, is that they are in severe decline. The sad state of our nation’s hedgehogs was revealed by the People’s Trust for Endangered Species (PTES) own mammal surveys and supported by the findings of other wildlife organisations in the most recent State of Britain’s Hedgehogs report. It is estimated that over a third of hedgehogs have been lost in the UK, in the past decade alone. 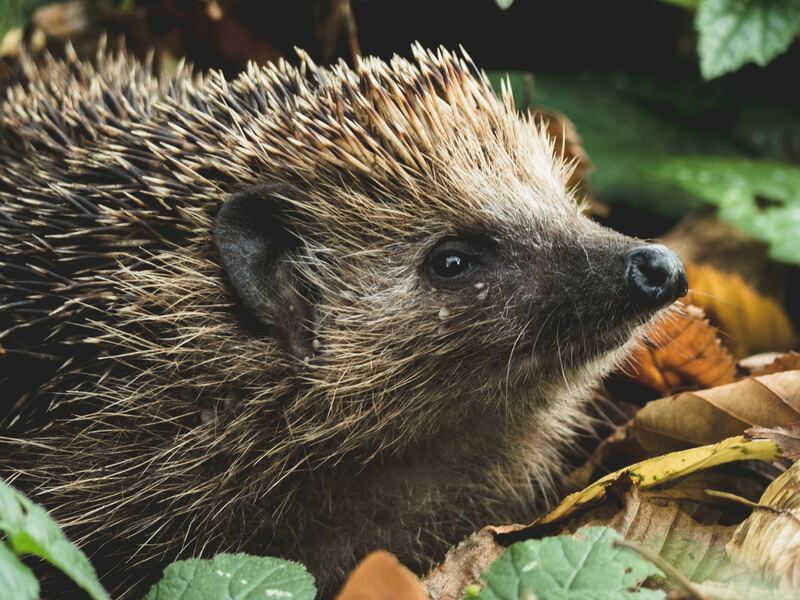 In response to this worrying decline, PTES and British Hedgehog Preservation Society (BHPS) launched the Hedgehog Street campaign in 2011, which seeks to conserve this iconic species and empower the British public to help hedgehogs in their own back gardens. By putting out some food, or linking up your gardens with ‘hedgehog highways’ you can help hedgehogs. PTES and BHPS are also currently commissioning various research projects into the reasons for their decline and measures that could be taken to reverse the effects. “So why are hedgehogs disappearing?” I hear you ask. Well, it’s elementary my dear Watson. Hedgehogs are affected by us and the way we have changed the environment they live in. Varying from increased human population and development, to climate change and reduced prey availability. Hedgehog Street is about joining up the dots. It’s about empowering people with an understanding of hedgehogs, why they are declining, and how easy it is to help them. With their unique, charismatic appearance, hedgehogs regularly make it to ‘Britain’s favourite mammal’ in polls and evoke such an affectionate response from the public that there’s every reason to be genuinely hopeful that we can reverse this decline. After all, we can’t risk losing Mrs Tiggy-Winkle, she’s part of our cultural heritage! “So what can I do to help?”, I also hear you say. Become a Hedgehog Champion! Hedgehogs love gardens and we know what features they need to survive and thrive in suburbia. Hedgehog Street is all about simple things everyone can do to help save our favourite wild animal. Below are a few more examples of how you can help hedgehogs and their habitats. Join us in the fight to save this national treasure and sign up to Hedgehog Street today at www.hedgehogstreet.org, which is also home to lots of top tips on how to make a ‘hog haven in your garden. Log your ‘hog’ sightings – dead or alive – on The BIG Hedgehog Map Hedgehog Street with The Big Hedgehog Map. 2. Sign up to Earthworm Watch and/or join the Earthworm Society of Britain to help scientists record the abundance and diversity of earthworms in different soils across the UK which are an important food source of food for Hedgehogs and other mammals. 3. Contact your local mammal group to find out how you can help Hedgehogs and other mammals near you: http://www.mammal.org.uk/volunteering/local-groups/. 4. Make a safe space for hedgehogs in your garden with RSPB’S Give a Hog a Home as part of their Giving Nature a Home campaign. 5. Do you live in or near London? Get involved with Citizen Science Projects for Mission Invertebrate aiming to help hedgehogs – visit the website here to find out you can get involved. Earthworm Watch has been developed by Earthwatch (Europe), The Natural History Museum and the Earthworm Society of Britain to better understand the ecosystem benefits of earthworms. Earthworm Watch allows the public to help scientists map their abundance, better understand the human impact on their populations and with further research measure the services these ‘ecosystem engineers’ provide. If you want to get involved, then sign up here. If you haven’t submitted your data, then please submit data here.